Proper merchandising through graphic branded labels and tags draws the consumer in as well as provides continuity in the perceived image of a product. Making the process easy for the consumer lies in the ability to find information quickly, this is exactly what the hang tag or barcode label does. 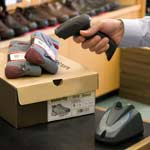 Keep track of sales, buyer tendencies and when to replace inventory as needed using the data available by scanning the barcode label or tag. Eagle Wright offers the whole package. 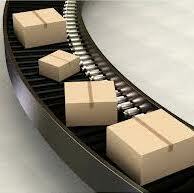 Simple to complex, small run to global distribution. Knowing where a production order is, what materials have been used and who worked on it provides your business the ability to quickly keep track of productivity and costs. Information is the key element, printed barcodes or text on industrial tags, repositionable labels (not your sticky note type of adhesion) and permanent labels all for the tracking data within your organization. 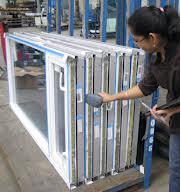 Quality assurance is an important piece of managing a business. Scanning the job barcode, linking it with the materials lot code and to those working on a project will increase your viability with your clients and your internal business structure. The entire work flow can be managed instantly through the use barcode labels. Printing the barcode in house provides the maximum flexibility. Thermal Printers for printing directly on tubing, labels and tags are available at Eagle Wright. We will match the printer and the materials for the application reducing the time you spend trying to figure it out. Moving products efficiently and accurately can happen easily when you have the ability to scan locations when moving inventory around. Barcoding the area of the distribution center (aisle, shelf, row, skid or box) makes distribution, packing and shipping all to easy. Printers for forklifts, for around the waist band, a mobile cart or a tabletop printer all are available to provide labels on the distribution floor or where ever they are needed. From Head to Foot, we have you covered for apparel labels. Hat labels, neck labels, Ties / scarf labels, waistband fold over tickets and care labels, belt tabs and even labels used in shoes. Stickers, hang tags, woven labels and printed fabric cut single or continuous for banding/wrapping your PJ bundles or dress shirts. Whether used as a beautiful brand logo on the outside of the textile or as a logo with care instructions on the inside of a garment, heat transfers have changed branding and labeling. Heat transfers are easy on the skin, eliminating irritation in the neck line and providing stylish clean images that will last. 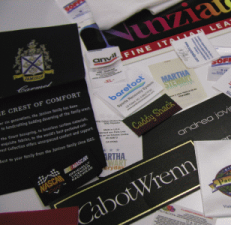 All apparel labels and tags can be used in other soft good industries; hospitality linens, housewares, automotive, outdoor products and many additional markets. The labels that stay with a product need to be a point of reference for future purchases. Consumers can quickly look online for where your brand is selling if the name stays with the product. It is important to implement a label program that will allow the best image for your product. Just some of the tag and label options in this category include fabric labels, Tyvek(R) law labels, woven or printed fabric labels and don’t forget size strips for easy selection at the point of sale. Poly bags for the finished product? Eagle Wright offers custom, plain and printed poly bags for the apparel/textile industry. Often referred to as Prime Labels, the labels used to graphically display the brand/product are easier than ever to change as needed. With the growing technology of digital printing, companies do not have to rely on buying plates when the labels change, or in the case of food products, when the flavor changes. Wines, sauces, soups etc. can be changed up as you like. 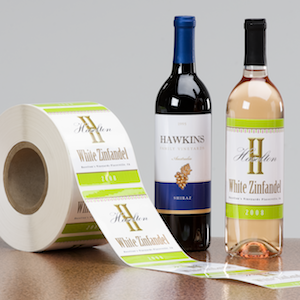 Hair care products, aerosol cans, sock wraps, even decorative tags and labels for apparel and textiles no longer carry large minimums to run a graphic label, tag or wrap. If you can think it up, we would like to take a look at your ideas. Beyond the product labeling, there is the need of the retail store to print tags and labels, replace missing information or just override prices. Receipt paper at the register or in the stock room, getting the right product for the machine could not be easier. To keep everyone honest, security options are available at the check out area with security pens or they can be provided through the label or tags using special papers or adding a holograph or unique printing. Simple measures will make sure you are protecting your brand or even your store. 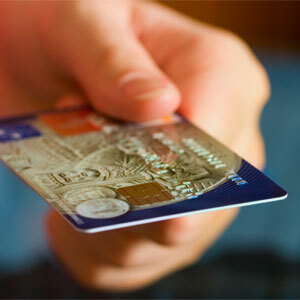 Reduce counterfeiting losses with security solutions.